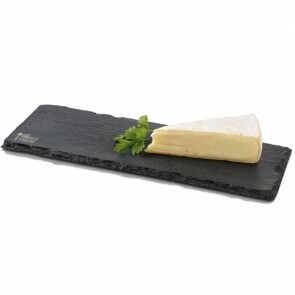 The cheese board is an absolute must-own item for epicureans and table scaping addicts, made of wood, slate or wicker this type of tray is perfect for wine service or as a table décor istem. Brillat Savarin wrote in his Physiology of taste that " Dessert without cheese is like a beauty with only one eye." We could not agree more! And It goes without saying that serving a cheese platter is an art in itself and that it will bring conviviality to your meal especially if you are hosting a typical French dinner or a wine and cheese party. When to serve a cheese platter? In France, cheese platter is usually used at the end of the meal before dessert and after the main course. It is the last salted dish that is served during the meal before switching to sweet treats. The cheese is usually served with bread and wine. Sometimes it can be served as a starter before the main course. However, in the United Kingdom, the opposite applies and cheese is usually served after dessert. And if you are a real cheese lover why not go for a 100% cheese menu with small side dishes. 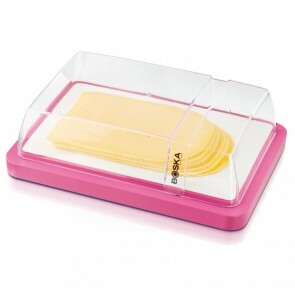 The all-cheese meal is an original way to please your guests and have a great time. Our advice for an all cheese menu which is also light: opt for green salad, pitted olives, raw vegetables for freshness, potatoes or dried fruits for the main course and sorbets, fruit salads for dessert. It will also promote a progression of taste, we will go from the sweetest and freshest to the most full-bodied and strong in taste. How to choose the perfect cheese board? 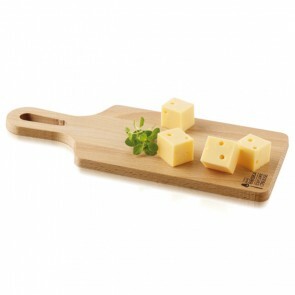 Before thinking about what cheese you will beautifully display on your board, you will have to find the perfect cheese cutting board itself. We would advise you to go for natural bold materials such as wood, straw, slate, wicker, marble or glass but avoid a metal support at all costs (stainless steel, silver, etc.) since they are prone to alter the taste of your cheese. 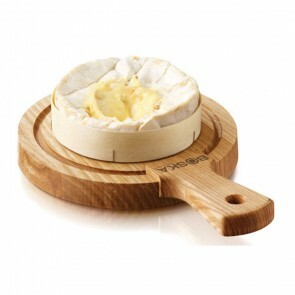 It is advisable to present your cheeses with one or more specific knives designed for the cheese service. 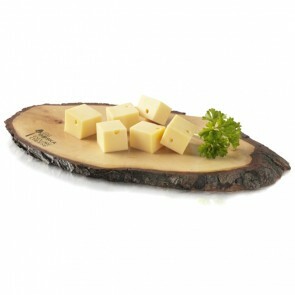 Which cheese varieties to choose for composing your platter? There is an infinite variety of cheese and the only true rule is to trust to taste buds! 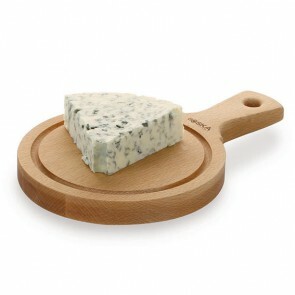 However if tou are fond of seasoned cheeses that are wiser to respect the seasonality. Cheese like many other dairy products is obtained from the coagulation of milk. Under the action of rennets or ferments the water contained in the milk separates from lactic proteins "caseins" to form the curd (the solid part of the milk) and the whey (the liquid part). Afterwards it undergoes the draining process. A fermentation and sometimes ripening process sometimes follows. It can come from the milk of different animals: cow's milk cheese, sheep's cheese, goat cheese, buffalo milk cheese, the list is not exhaustive. 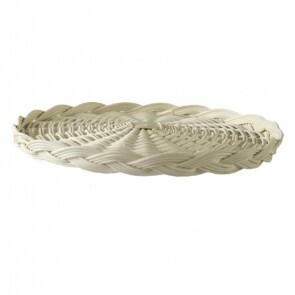 How to compose an original cheese tray? 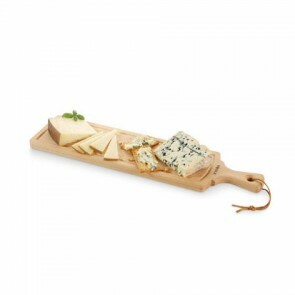 Whether you choose to present one or more cheeses, your cheeseboard must always be accompanied by a cheese knife or a knives set. Don’t forget the garnish (dried fruits, salad, raw vegetables, chutney, jams), the layout (mixing colors and textures), the materials (with wicker bring a vintage touch, go authentic with a wooden cheese board, a touch modernism with the slate board). And above all, rely on your creativity and a diverse choice of cheese! Soft cheeses are characterized by their creaminess. 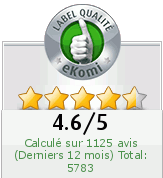 We distinguish 3 categories "washed crusts" (Munster, Epoisses) and "flowering crusts" with a white down (Camembert, Brie, Coulommiers), "natural crusts" with goat's milk (Crottin de Chavignol, Picodon, Banon). These cheese types are perfect smeared on crackers. Marbled cheese: These are the cheeses whose curds were inoculated with penicillium (mushroom). They are also called blue cheese. Every country has its own blue cheeses. Let's mention the famous French blue cheese such as Roquefort, Auvergne blue, Saint Agur, Fourme d'Ambert or our very creamy darling Italian Gorgonzola. America also has its Californian Point Reyes Eyes and its delightful Oregan blue. What to drink with cheese? Finding the perfect wine and cheese pairing is essential for the success of your meals! Bear in mind that cheese must not always be paired with red wine and can also be a perfect match with white wine. In addition, it is wise to respect the original terroir of cheese and wine, for a perfect pairing. Example: serving a dry white wine with a Beaufort. 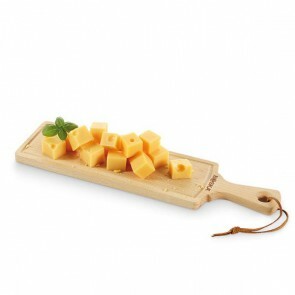 Whether you are a cheese lover, a cheese connoisseur or a gourmet you will find the perfect round or rectangular cheese boards and our professional quality cheese accessories: different cheese knives, spreader, cheese slicer but also raclette and fondue machines.